. .Finally a 'Palm dream machine' ? Finally a 'Palm dream machine' ? I racked my brain for quite a while how to start this review. Mainly I had to find a way out of my own gibberish from yesterday :). Not so long ago in my Tungsten T review I really thought, the Tungsten T is all a 'serious' Palm PDA user needs. Not perfect, but good enough to be happy. It's a bit like with new mobile phones. Of course you're attracted by new models and new features. But when you're sitting in your favourite coffee shop and you have again no radio service, you have to recognize, that these 40 new polyphonic ringtones (supported by a cute, animated handset jumping up and down on a full-color display) are not particulary helping a lot. Anyway, I was convinced that certain base technologies (OLED display, fuel cell, whatever) have to come first before I want a new PDA. But then I actually got the T3 on my table and it changed my opinion completely. Basically every single detail on the T3 is improved over the TT (TT=Tungsten T) without - and that's the essential part - adding any disadvantages or even compromises. I know, that sounds quite euphoric, but reading on you'll see what I mean. I think talking about the brighter, more silvery finish of the T3 or it's slightly different shape is academic, it's a pure matter of taste. So let me start with the facts right away. The T3 is exactly 9mm longer than the original Tungsten T which is in fact no disadvantage. For my taste, the TT was always a little too 'square'. All other form factors remained basically the same. Weight (170 gram), width and thickness are only negligible different and the controls are nearly all in their known places. Only the 4 application buttons are clearly rearranged. Formerly from left to right, they are now placed around the center navigation keys. For normal use it's probably a matter of days to get familiar with the circular arrangement, but for some games using the keys i.e. for left and right it could be a pain. All things considered you can say, the T3 feels like a 'good' Palm. IMHO the first huge improvement is not even that much technical. 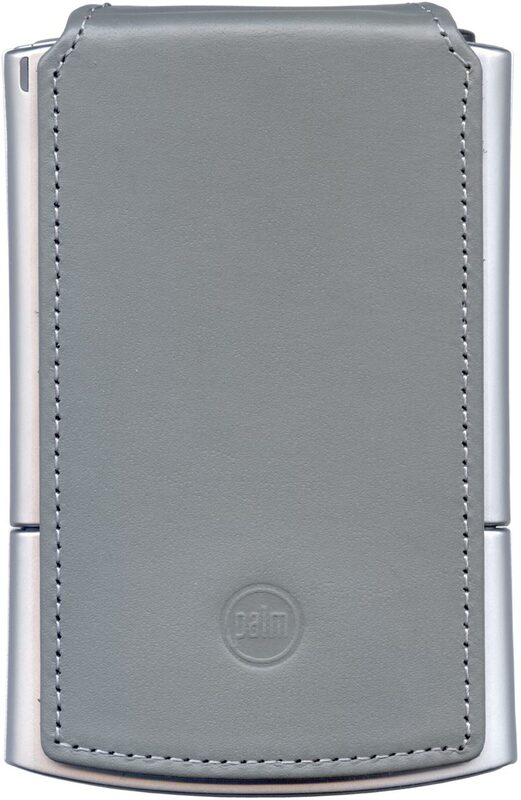 Compared to the TT, Palm got rid of that unfortunate snap on cover and replaced it with a nice, gray leather flap. It's removable attached to the back of the unit with a nifty lock mechanism and wraps around the top. 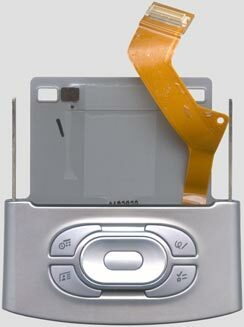 Such it's also protecting the IR-window from scratches and the SD-card slot from dust and pocket lint. 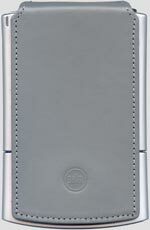 I personally liked that kind of protection already on my older Cliés like the N760C, the T615 etc. It doesn't replace a hard-case if you need one, but it's perfect for normal daily use. And of course it's not in the way when you want to place the T3 in the cradle. All this is a big deal for me, since apart from the money you can spend for 3rd party cases, I hate it if I get a new device and then I have to go shopping for essential accessories first! Brilliant 320x480 TFT backlit LCD - no more switching over to the Sonys if you need a High-Res+ screen. 400MHz XScale CPU - for the still efficient and fast PalmOS nearly an overkill. 64MB RAM - more than enough to install tons of PalmOS application or some serious data. 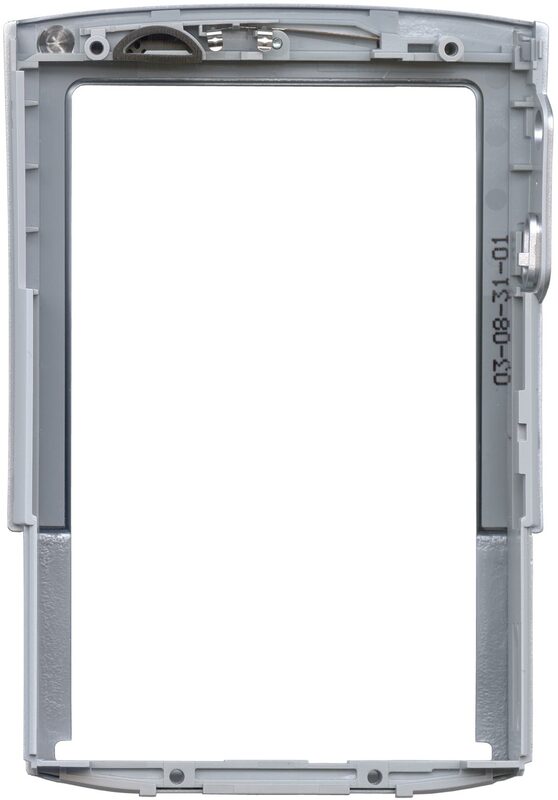 SD-Card slot - for even more data. Bluetooth communication - includes nice working drivers for most mobile phones for direct dialing, SMS and other stuff. Best speaker ever on a Palm - finally alarms that get your attention. Built in sound system - Preinstalled MP3 & RM player, stereo headphone output, voice recorder functionality. 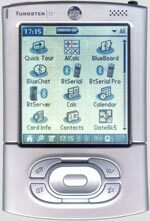 A really good adapted PalmOS 5.2.1 - Lots of new hidden improvement, expanded address book and a complete support for the variable screen size. BTW, the Tungsten T3 comes still with the so called 'Universal connector', you can keep all your accessories. The cradle remained also the same, I didn't even unpack mine. My T3 sits fine in my old m505 cradle. The pinout of the connector remained also the same, so if you want to fiddle with some accessories yourself, you can lookup the pin out in my m505 review. All images on this page are available in high-res, just click on the image. Technically the Tungsten T3 is more than a small step forward, it's a milestone in the Palm history and that's no exaggeration. The most obvious improvement is the brilliant 320x480 screen. It's a backlit TFT-LCD which easily competes with the so far reference screens used in the Sony Cliés. But obviously, the screen is a pure backlight type and not transflective like the Clié screens. Consequently you can't switch off the backlight on the T3 and the brightness control is quite limited. For my taste (reading alot in the dark), the lowest setting is still a little too bright, but that's no big deal. I couldn't test the T3 in bright sunlight yet, but the highest brightness setting seems good enough, it's rather bright. With the large screen, the sliding case of the Tungsten makes alot more sense now. The OS in the T3 reacts nicely when you open or close the Tungsten. The new status bar in the bottom moves with the case and stays always in sight. All the applications in the ROM (or rather Flash) are supporting the High-Res+ resolution and are adapting nicely when the case is opened or closed. Above you can see the Sharp LCD-module. It looks quite robust in it's completely closed metal case (if I only think about these first PalmIII screens ... <g>) and it seems to come preassembled with the low-level controller, the bias voltage charge pumps and the touch screen connections. For the braves of you: between the two coils you can find a tiny variable resistor which controls the contrast. I didn't touch it since my T3 seemed to be adjusted perfectly and frankly, I don't recommend to mess with it. I saved some bandwidth and didn't post the front view, it's really boring - just a rectangular, dark piece of glas ... :). Before I go on with the 'guts', please let me explain once more how to disassemble a Tungsten. I got awful lot of mail about it and I don't want to repeat my self over and over again. But let me warn you: The process is not easy and if you ruin for example the flat cable from the universal connector to the main board, your chances for a repair are close to nil! These cables are easily broken and the assembly of the plugs on these cables is also not possible with a soldering iron! And please read the instructions completely before you start disassembling your valuable toy! First you need to 'unlock' the sliding mechanism. Good tools for that are for example 2 paper clips which you bend open a bit. Slide the case open as far a it would go and put the unit face down on a solid surface (I always put a clean paper towel on my table first to prevent scratches on the front). For the next step you'll wish you had 3 or 4 hands :): look out for the 2 tiny holes in the back of the case, left and right of the serial number tag. Use the paper clips to press down the springs below these holes. At the same time, carefully slide the bottom part of the case further down a little. When you passed the 'lock point' of the springs, you can release the paper clips. Good, the first hurdle is taken. Basically you could take off the bottom part now, if it wouldn't be connected to the mainboard with one of these nasty delicate flat cables which is additionally glued to the back of the main case. When you carefully slide down the bottom part more and more, you'll be able to spot the cable. From there on, a little intuition is necessary. You can't slide the bottom part completely off the case since that cable is too short. But you can slightly bend the left and right attached 'rails' to get the bottom part off the main part - but watch that cable all the time! Don't bend it too much and above all, don't twist it too much! Then slowly and carefully start to detach the cable from the main case. 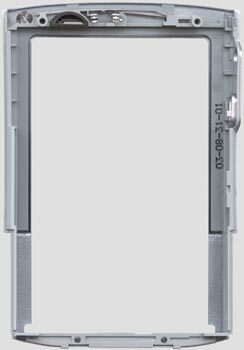 From the opposite side of the plug on the main board, pull it off the case very slowly in a 30-45 degree angle. Use moderate force, take your time and give the glue the time to loosen from the case. Optimally the glue comes off the case completely and stays on the cable. When you come close to the plug, be particulary carefull not to rip off the plug with the cable! Once the cable is completely loose, take two small screwdrivers to lift the plug from two sides at the same time. It is important to lift the plug nearly parallel, so you don't bend the contacts on the one or the other side. You can see the construction of that plug on the pictures further down and hopefully understand what I mean. Once the cable and the plug is loose, the worst part is done and you can separate the bottom part from the actual case. BTW, the 4 screws in the sides of the bottom part can stay in place, you don't need to open them as long as you don't want to disassemble the bottom part any further. If you did everything right, the slider AND the cable should look like on the image above. On the high-res version (click on the image) you can see the plug quite well and so you can imagine how to unplug it with the two screwdrivers. On the main case then open the only 4 screws (2 top, 2 bottom). Take care of the little metal piece that falls off when you open the 2 bottom screws. The case is basically open now, but you still need to snap open 4 little plastic 'noses', 2 on each side. Their location is slightly visible at the rim of the metal skin of the T3. I personally use my fingernails for such jobs, because they never leave marks in the delicate metal surface. Alot of care and a tiny screwdriver works too. I can't give you much more directions but once you see the noses, you'll know how to unsnap them. I found it easier to start with the right side (opposite of the headphone plug and the voice recorder key). Basically you have to unsnap all 4 of them, but the first side is harder than the second side, when the case is already a tiny bit open. DON'T try to bend the case open when the first side is unsnapped, you'll break the noses! You could unplug the battery already when the bottom slider is off, but I found it easier to wait until the back of the case is loose too. Anyway, before seperating the front and the back of the case, you have to unplug the battery since the battery is glued into the back of the case. Needless to say, that you'll loose ALL DATA the moment the plug comes off - so make a good backup first. That's it. From there on you should be able to reach whatever you're looking for. The assembly is much easier, just reverse all steps. Snapping the case close is much easier than opening it and fixing the flat cable again is also easier than 'ripping' it off :). Insert the plug on the cable first (remember, insert it parallel, push down parallel! ), then fix the cable starting from the plug an work your way down. The cable should stick nicely and flat! And don't forget to reconnect the battery. One last word: After reading the above instructions, please ask yourself critically whether you have at least some skills to do that! If not, just don't do it!!! It's no disgrace to know your limits ... :). To finally finish that little 'mechanical excourse', let me mention a few more details about the rest of the case. In the middle of the case top you can see a piece of metal, that's the bluetooth antenna which contacts the mainboard once the Tungsten is assembled. It's quite an art to transfer the 2.4GHz signal from the bluetooth module across the board to the antenna, but it's a good move to improve the bluetooth range. The antenna location is by far the best spot you can find in that case. And that speaker contruction is also very well done. The speaker 'output' is sealed with a little rubber ring and the sound is guided directly into a little resonance chamber. Consequently the Tungsten T3 is by far the loudest Palm I've ever heard. Finally an alarm you don't overhear. Even MP3 files are played with a good volume, considering of course the size of the speaker. It's no replacement for headphones when you really want to enjoy stereo music, but for a little 'snooze entertainment' from the nightstand it's perfect. Together with the RealOne player that comes preinstalled in Flash, the sound capabilities of the T3 are one of these 'invisible' improvements over the TT and of course all older Palms. I still have to smile a bit when I see the speakers in the new Palm models: Complaining about these crappy piezo things Palm used so long in their PDAs, a chief developer at Palm once told me on the PalmSource, that they'll never use true speakers, since their magnetic field can erase credit cards when you have both in the same pocket ... obviously the credit cards improved alot since then :). While I wrote this review, a good friend gave me another hint about PDA batteries. Laptop for Less obviously sells single LiIon cells, also for several Palm models. 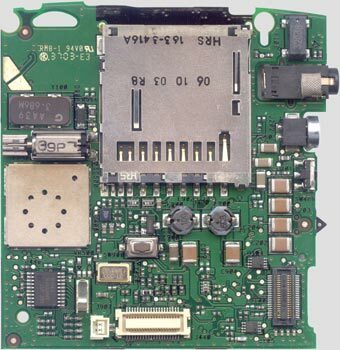 The mainboard of the Tungsten T3 looks very much like the one of the TT, but be assured, the technology improved alot. 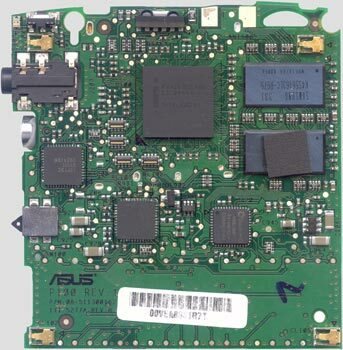 The first surprise is, that the mainboard is obviously manufactured by ASUS. But once you look into the technical specs, it makes alot of sense. 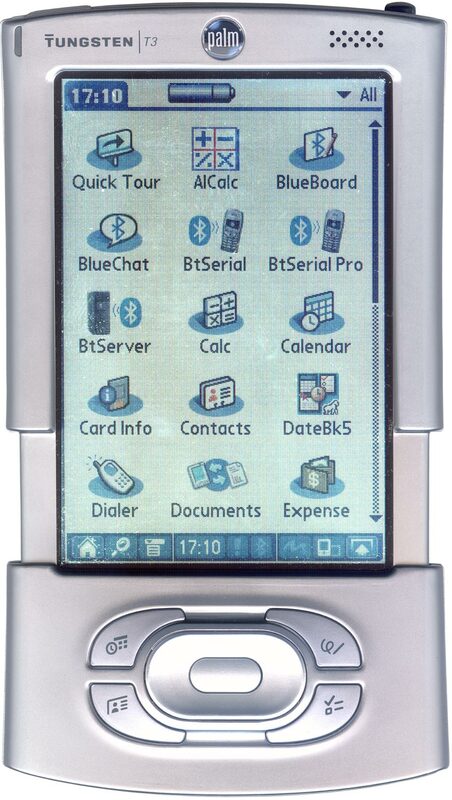 The Tungsten T3 is powered by a 400 MHz XScale, it has 64MB RAM and 16MB of Flash. Sounds familiar? Right! These are the 'base ingrediences' for most PocketPC PDAs. Since ASUS builds their own PDAs (the A600 and the A620, both PocketPC devices) they obviously have some experience in manufacturing that kind of architecture and from my experiences with their PC motherboards, ASUS produces excellent quality. So why not use their skills. Click on the pictures for 'super' high-res images, ~1700kB each. The largerst chip in the middle is the Intel XScale CPU, but not only that. It contains also the 16MB Flash. The 'naked' CPU would be called PXA260. The PXA261 is a 'sandwich' pack of the CPU and 16MB Flash, a quite new technology Intel developed for PDAs and all other space critical applications. 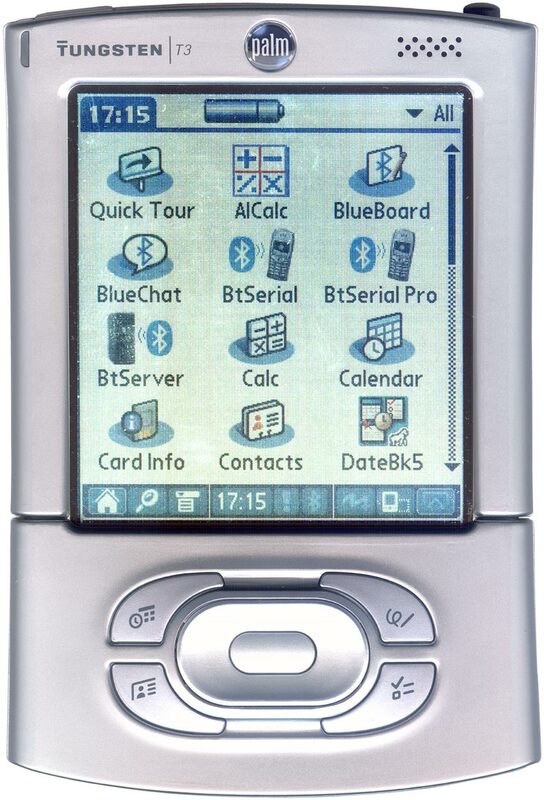 That 400MHz CPU makes the Tungsten T3 a real racer among the Palm devices. I've never touched a faster PDA! 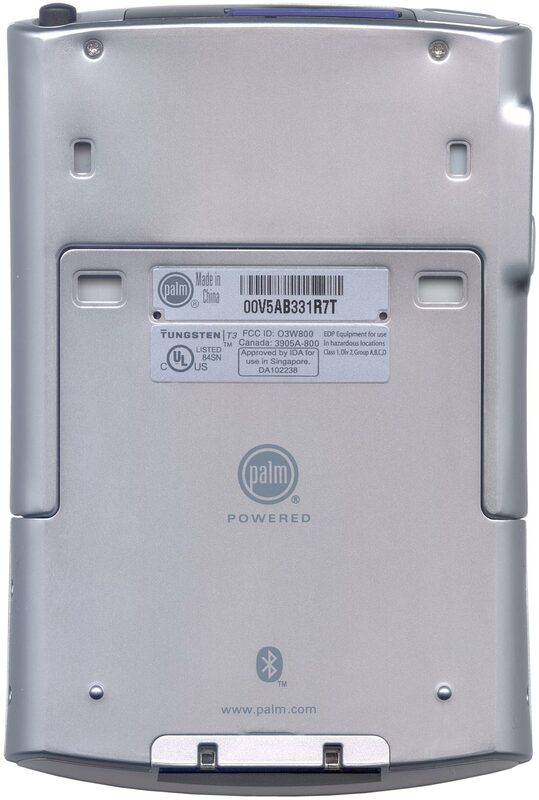 Just for fun I started the old 'Benchmark' (v 2.0) which lists the Palm IIIxe as the 100% reference. The original Tungsten TT reached already 255%, but the new T3 tops them all with 547%. Even the Sony NX70V ends up with 'only' 271%. But not only the benchmark looks impressive. Applications typically run twice as fast than on my NX70V, which is no slow machine either. Finally that XScale CPU also opens the Multimedia world for Palm users. I was always the opinion, that former Palms were just a bit too 'underpowered' to handle multimedia really conveniently. Not so with the T3. The supplied Kinoma movie player fluently plays movies with sound AND stays reactive. That means the controls are still reacting quickly while a movie is playing. Also surprising for a PalmOS device is the 'huge' 64MB RAM (the two 'blueish' chips on the right). 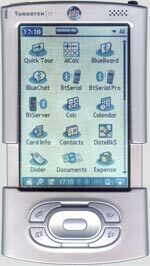 Considering that PalmOS applications are still quite slim, worries about memory space are history. I should mention, that the OS reserves some space, so you end up with around 54MB free RAM, but that's still plenty. What else is on the T3 motherboard? Well, amazingly few! Apart from the CPU (with Flash) and the RAM there're only another 3 'interesting' chips. The TSC2101 (most left) is a combination of an A/D converter for the touch screen and an audio codec with speaker/headphone amp on chip. I couldn't identify the chip left below the CPU for sure, but I assume it's a kind of intelligent power management chip. The XScale CPU needs a sophisticated power management with different voltages, so a single 3.3V power source doesn't do it anymore as it was in the 'Dragonball era'. Located right down from the CPU you find the W86L488, an SD/SDIO/MMC Memory Card Bridge. 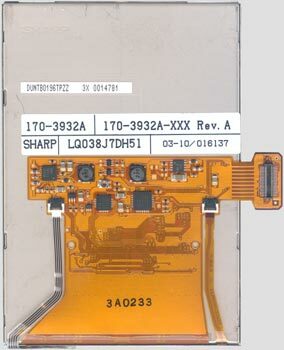 I don't know the exact XScale architecture, but among it's lot of embedded peripherials there's also an SD-Card interface. I have no idea, why the T3 uses a seperate chip for that task, but I assume Palm doesn't spend the money for fun. Maybe the embedded controller is just not that powerful or shares resources the T3 uses otherwise. That was it, the T3 works with 5 main chips only. There's no dedicated graphic controller, the LCD is handled also by the embedded XScale capabilities. But I can assure you, the speed doesn't suffer from that architecture, the screen refresh is as fast as the rest of the machine. 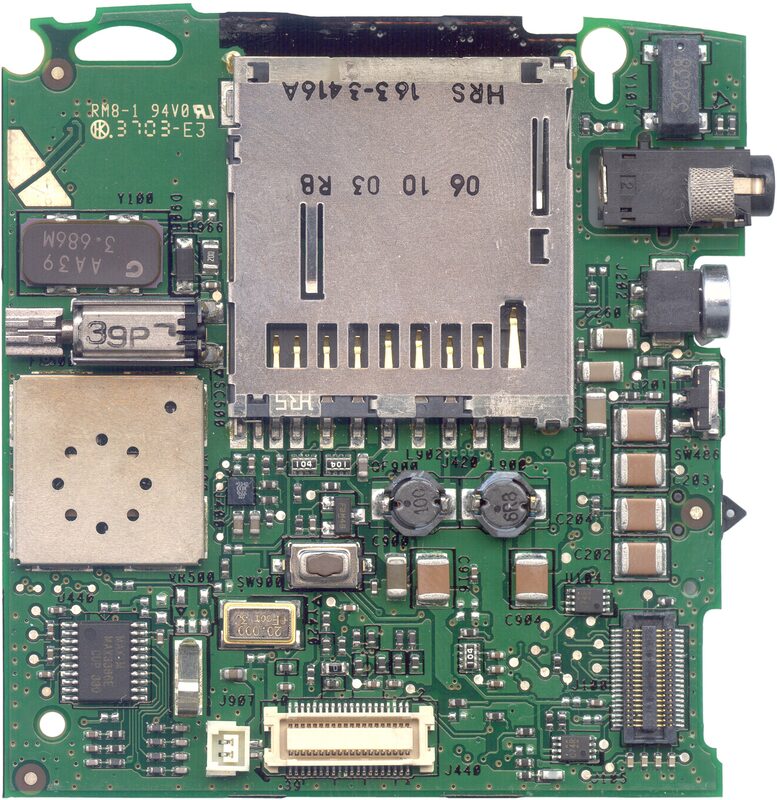 On the other side of the mainboard you find only 'boring' interface chips like the serial driver (in the left corner), the Bluetooth module (the little metal case on the left side) and some more power parts for the LiIon charger and the main supply. Now, you might think that architecture looks simple, why don't I build my own PDA :)? 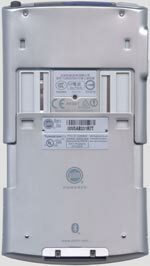 For the freaks (and for me of course <g>), I collected all the relevant datasheets and listed them below. So if you want to understand the complexity of the T3, study some of the datasheets and you'll understand what's really inside these little black plasic squares nowadays. You might know from my other reviews, that I'm not so much into OS and software issues. I have to make an exception for the Tungsten T3, since there are some remarkable changes in the OS version 5.2.1 which is residing on the T3 (after you do that obglitaroy update to fix the SD-card problem). Palm really did a nice job to enable the new hardware, especially the variable screen size. The most convenient innovation is a status bar in the bottom of the screen which also moves with the sliding case up and down, so it's always visible. 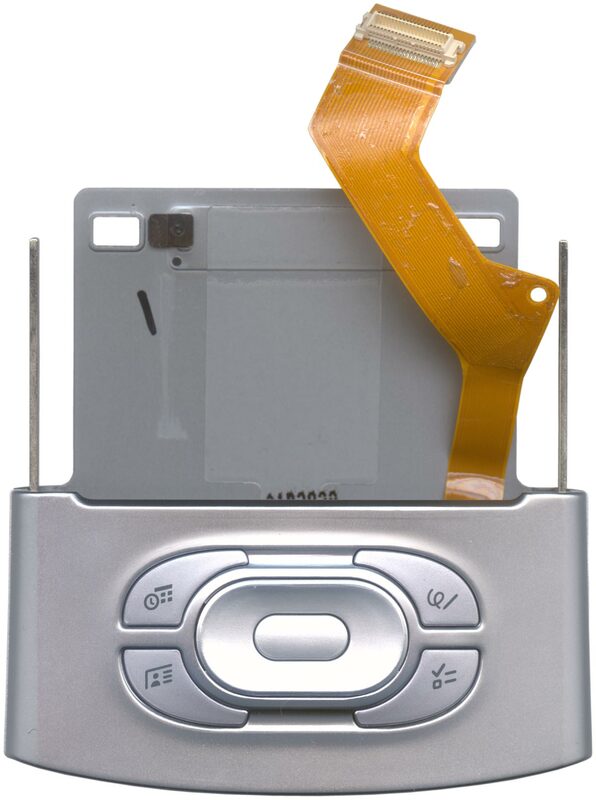 Basically Sony invented that status bar, but left out alot of possibilities. Palm now made it fully functional. On the T3 it offers quick and convenient access to the most important system features. Only the 3 left icons are worth the whole status bar. While you had to open your TT all the time to access the softkeys for the launcher, the find function or the menus, the new bar allows that also when the T3 is closed. But there's much more. Tapping the time opens a screen with all important system infos and settings. You get the battery status, the amount of free memory (including an inserted SD-card) and there you also find the usual brightness slider. New is selection of 3 sound profiles to select quickly between your custom settings, silent (vibration only) or all off. Very nice! The exclamation mark indicates a pending alarm and the Bluetooth symbol opens a setup screen for quick Bluetooth access. No longer tapping through endless preference screens. The snake like icon enables also a nice feature of the T3, the full screen writing. You don't have to open the 'writing' area anymore, but you can write on the whole screen to enter something. Talking about that 'writing'. You might have heard, that Palm finally gave up the original Graffiti because of legal reasons. The new input method is called Graffiti 2 and it is nothing else than Jot, known from the WinCE world. The 'About' screen says 'Graffiti 2 v.5.2P powered by Jot v.1.3.P1' ... aha :). Anyway, the new Graffiti 2 is for sure not worse than the old one, the problem is only that many people are used to Graffiti 1 and the first days are a pain to get used to the new strokes. After a while I personally found Graffiti 2 even easier and the recognition rate is much better. Good news for left handers: There's a new system setup called 'Handidness' and you can swap the Graffiti 2 input logic from right to left handed. I didn't really try it out, visually it does not do a lot. But we're still not through with the goodies in the status bar. The second right symbol rotates the screen 90 degrees (you can even set up whether it's turned to the left or to the right) into landscape view. That rotation is supported by the OS and works very quickly. It's good for web browsing or viewing movies and pictures. The rightmost symbol shows or hides the input area, formerly known as Graffiti area. On the 320x480 screen that's of course a soft input area which is available in two flavours, one with, one without the softkeys. The one without the softkeys leaves a little more room for larger Graffiti characters and reserves an own area for capitals. You can also switch to a full blown QUERTY keyboard. Worth mentioning is also, that the 4 PIM applications were 'coddled up' since Palm is called palmOne now. The Addressbook is even called 'Contacts' now and has some remarkable improvements. Among more custom fields you find now also entries for IM contact, website and a second or even third address. New is also the the dedicated 'Birthday' record with reminder in the contact data base. Of course there are some compatibility issues with the former versions. If you beam for example a entry from a T3 to a TT, the new records are lost. For a change, it's also essential to install the supplied desktop software, since it has to support the new features too. 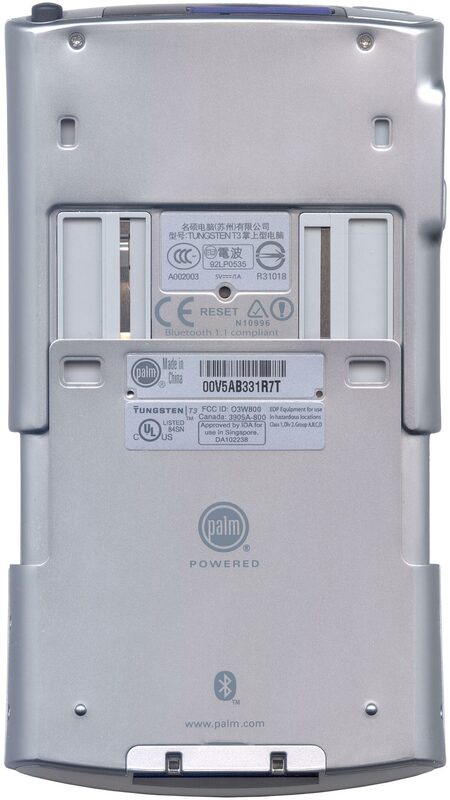 The near future will show, how smooth the transition will work, but one day Palm had to make that decision. A contact data base without website entry is just outdated nowadays. The 'Calendar' is also grown, but frankly I didn't test it. As long as datebk5 keeps supporting all the new models, the build in calender is no subject for me. The same applies for 'Tasks' and 'Expense', I just don't use them, so I can't tell about changes or improvements. The preinstalled programs in Flash are also well choosen. You find a RealOne audio player that plays MP3 or Audio-RM files right out of the box. And it finds playable files automatically anywhere in RAM or on the SD-card. Then there is DocumentsToGo, a powerful text reader and editor for all kind of document formats. To describe all of it's possibilies would go beyond the scope of this review. I mentioned already the Kinoma media player. It comes with a producer for the PC and allows to convert, hotsync and play movies on the T3. Unfortunately Palm bundled only the old version 1 of the producer. You can upgrade it for $30 to version 2 which is much more powerful. For photos there is an application with the meaningful name 'Photos' which displays JPEGs quite quickly and of course it allows the inevitable slide show. The voice memo, SMS & Phone Link (mobile phone handling) were known already from the TT, but new in ROM is VersaMail, a full blown mail client. The web browser 'Web Pro' in still not in Flash, but supplied on the CD you get with the T3. Version 3 of the browser is nicely grown and allows indeed limited web surfing on the T3. When you install the supplied mathlib, you can even enable Java in Web Pro. It's also possible now to select, whether you want to use a Proxy or not. And now a word about the power consumption. As I keep mentioning since a few reviews, all modern Palms are equipped with a complicated, multistaged power management and such you can't tell by the architecture how long a given power source will last. It's more than ever depending on how you use the device. I still did my usual test, leaving the Tungsten T3 just idle on at 50% screen brightness, and the battery lastet about 5 hours. That's no good, but no bad result either, it's what you can expect from the 900mAh single LiIon cell. For higher CPU loads like playing movies or games your miles may vary, I guess down to 2-3 hours. Playing music shouldn't put such a big load on the CPU and the RealOne player has a power safe feature which switches off the screen. So the battery life when you use the T3 as an MP3 player shouldn't be too bad either. 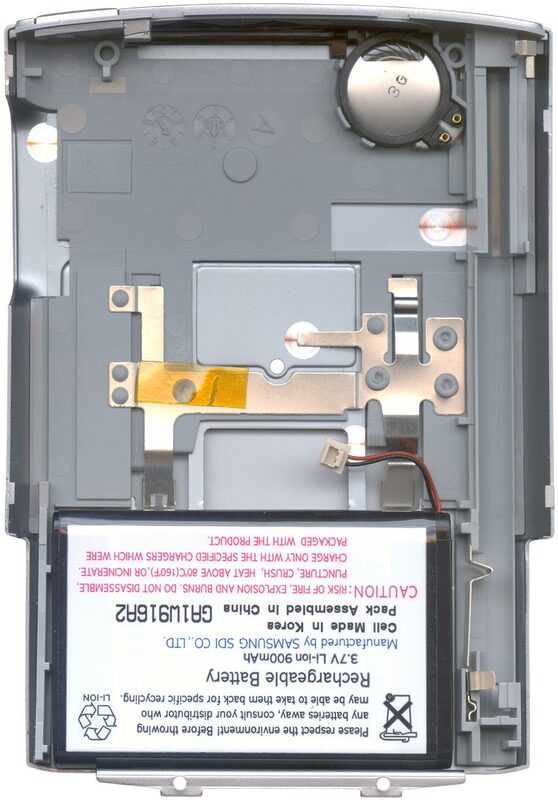 Talking about the screen again, brings me to an oddity of the T3: The backlight can't be switched off completely. The usual long press of the power button causes no action, it doesn't even pop up the brightness control. Maybe the LCD has no transflective nature at all, so it wouldn't make any sense to switch off the backlight completely. Are there real shortcomings? I would say no! At least none that are worth mentioning. Of course there's still the lack of a true charge indicator. The power LED just lights green as long as the T3 is in its cradle. A weird fact is, that the used LED is for sure a bi-color type (zoom into the right picture of the main board - in the very top right corner you find the LED and you can clearly see the two LED-chips in the transparent case), but obviously the T3 makes no use of the red LED. At least I couldn't find any hint about it. On the layout it's not even clear, whether the red LED is connected - what a waste! But I was talking about shortcomings and that's no real one. Maybe the sliding mechanics still feels a bit too 'slack', collapsing too easily. But that again is probably a matter of taste, I would like it a bit more stiff. But that's about all on my wishlist. Even if I said that you can get used to the new Graffiti 2 input method, I'm sure alot of Palm users would rather go on using the original Graffiti they're used to. Well, basically that's no big deal, you just need the right files for it. The following are a step by step instructions what to do. First get a file management tool that allows to beam content from ROM (or rather Flash). I personally use 'Filez', which is really a great tool and freeware too. You can find the latest version at the nosleep software open source project, I refer to v 5.21 in that description. Now that was the easy part. 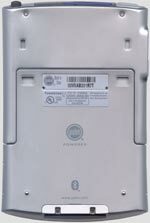 Then you need a PalmOS 5.0 device with the old Graffiti input, since that's where we get the needed files from. I tried it with a Clié NX70V and of course a Tungsten T(1). Both of them have the right files on board, but I'm quite sure, any OS5.0 device will work. Next install Filez on that device and start it. On the entry screen tap on 'View and Edit Files' and you'll get a list of all installed files in RAM. Now select the 'ROM' checkbox right/down and the list will refresh, to show all files in RAM and ROM (ROM files are marked with a little chip behind the name). Now scroll down to find the 'Graffiti Library'. It's a ROM file and it's size is 30kB. Next you have to find the right language file, whatever language you have selected for your T3. The language files are named 'Graffiti Library_xxXX' and they are about 22-24kB large. xxXX stands for quite intuitive country shorts: enUS for English, deDE for German, frFR for French, esES for Spanish, itIt for Italian and ptBR stands for Portugese, Brazilian variant (thank you all for the mail feedback helping me out with the ptBR). You need to pick only ONE of these files, depending on the language on which your T3 is running. If you want to waste memory on the T3, you could install all of them, the T3 picks the right one automatically. But even if you plan to change the language sometimes, that won't help. For picking a new language you have to hard-reset the unit and then the language files would be gone anyway. So my recommendation is to pick the right file only. Then just beam the two files (you have to do it one after each other, the multiselect option in Filez doesn't work for beaming), let's say 'Graffiti Library' and 'Graffiti Library_enUS' to your T3 and soft-reset it - voilá, Graffiti 1 on a T3! A word about the legal issues: These files are copyright and that's also why I can't post them here. If you upgrade from a TT to a T3, you have the right to use Graffiti 1 since you bought a license with your TT. Once you sell your TT, you have to delete the files from your T3 of course :). BTW, if you had these files on your harddrive, you could also just hotsync them onto your T3. Since the original Graffiti 2 libraries are residing still in ROM on the T3, getting back Graffiti 2 is even easier. Just delete or rename the Graffiti 1 libs, or you could even set their version number to a low version ID (stuff in RAM get's only the priority over ROM apps, when their version ID is equal or higher). Don't forget the soft-reset after you made any changes. 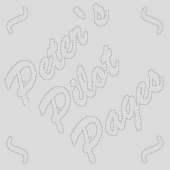 Copyright © 1997-2003 by Peter Strobel, all rights reserved.